A novel integrating sphere microscopy setup was constructed with the unique capability of mapping quantitative absorptance, internal quantum efficiency and photoluminescence quantum yield with diffraction-limited spatial resolution. Integrating sphere microscopy allowed us to measure for the first time the thermodynamic limit of a single nanowire solar cell, compare that limit to a planar device and identify/quantify remaining loss mechanisms. A second related project used super-resolution microscopy for the first time to understand nanophotonic coupling and resonant effects in semiconducting nanowires. 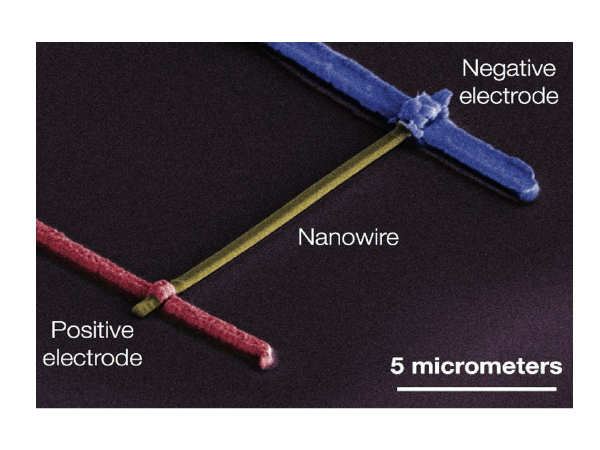 Nanophotonic coupling plays a central role in the antenna effect, which has been proposed as a mechanism for nanowires to break the standard Shockley-Queisser limit.